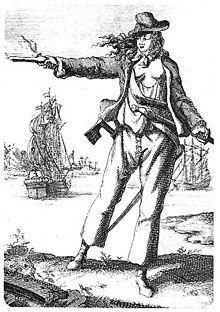 "Anne Bonny", Encyclopædia Britannica Online. Cordingly, David. "Bonny, Anne (1698–1782)", Oxford Dictionary of National Biography, Oxford University Press, 2004. Accessed 18 Nov 2006. Johnson, Captain Charles, ed. Hayward Arthur L., A history of the robberies and murders of the most notorious pirates from their first rise and settlement in the island of Providence to the present year, London: George Routledge & Sons, Ltd. First published in 1724, with the second edition published 1728, both versions attributed to Daniel Defoe. The two editions are very different, with the second edition much less accurate than the first when compared to court records. In the second edition however, no such accuracy is even attempted. In particular,the lurid details of the capture of the merchant ship the Neptune by Charles Vane in September 1718, conflicts entirely with the court records of both Charles Vane and Robert Deal, his quartermaster. 'The Tryals of Captain John Rackam and Other Pirates', 1721, by Robert Baldwin, in The Colonial Office Records in The Public Records Office at Kew, (ref: CO 137/14f.9). This details the trials of JackRackam, Mary Read, Anne Bonny, and Charles Vane.